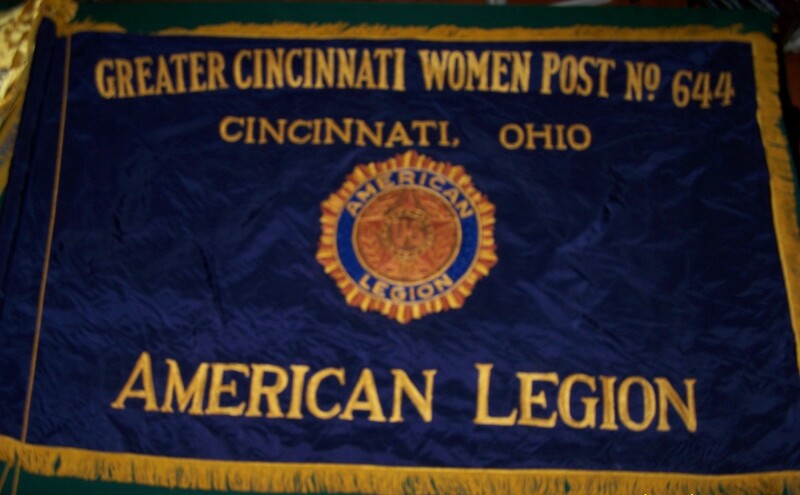 The Greater Cincinnati Women's Post 644 of The American Legion was founded in 1946 and chartered in 1948 by women veterans for women veterans. We remain the only American Legion Post in the Tri-State primarily dedicated to serving the needs of women veterans. To advocate for the needs, issues, and benefits of women veterans. This event is in conjunction with a Cincinnati Reds Baseball Game. This event is not free. A trailer is available for us to decorate. We'll pass out candy to the kids along the route as we did last year. retired in any of the branches of the military: Marine; Navy; Army; Air Force and Coast Guard. License plates went on sale to the public Monday April 25, 2016. See the video: "This is Real Life", which highlights the new license plate dedicated to women veterans. for $40 payable to Post 644. Are you interested in developing and improving your shooting skills, for pleasure or personal protection? Would you be interested in working as a group from the post? Contact Georgia Dahlberg if interested. All*Vet States is a web site hosted by the U.S. Chamber with employment, education and business start-up information for participating states. The site’s goal is to goal is to showcase states that are working hard to create economic opportunities for veterans and military spouses and to highlight the resources available to those transitioning military families. “I’m very happy that Ohio has joined this effort,” Ohio Department of Veteran Services Director Tim Gorrell said. “Increasing the visibility of our state through the All*Vet States site is another way we’re elevating Ohio’s status as a veteran-friendly state, one that all veterans can be proud to call home. Ohio has worked aggressively to be a top destination for our nation’s veterans and military spouses.